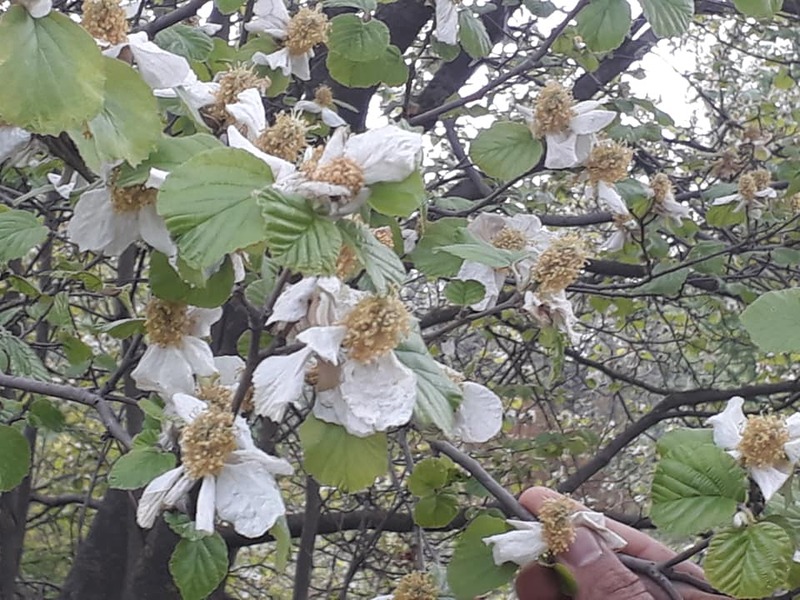 The medicinal plant garden created, grown and nurtured by JKMPIC around its unit complex contains Kashmir’s largest privately owned collection of medicinal plants,spanning over 300 varieties, including rare and endemic medicinal plants. The garden is a treasure teove of herbal remedies that have been used for thousands of years by our ancestors for healing,health and beauty. All plants in the garden are carefully conserved for future generations.further, a tissue culture lab. 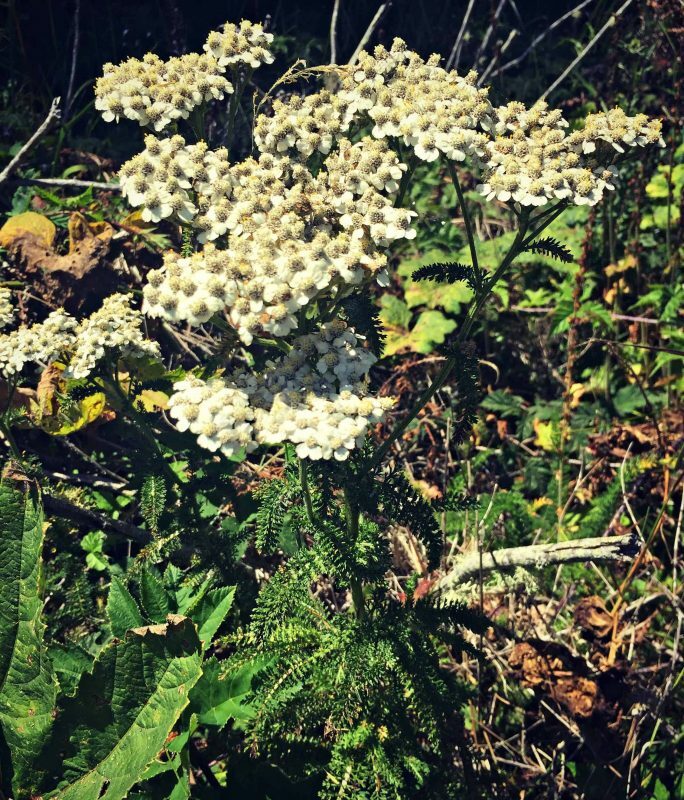 Established within the medicinal plant garden propagates and distributes rare medicinal plants as a further conservation effort. The plant research centre also nestled within the garden carries out advanced plant research into the medicinal plants in the garden, researching and validating their traditional uses. Availability of planting material, tree saplings, herb seed, flower seeds, fruit plants, creepers & climbers, medicinal herbs, herbal roots, crude drugs, bulbs, corms, rhizomes, stem tubers & root tubers,aromatic plants..
Heirloom Heritage Open Pollinated Medicinal Herb seeds great for organic gardens in Jammu and Kashmir . Availability of planting material, tree saplings, herb seed, flower seeds, fruit plants, creepers & climbers, medicinal herbs, herbal roots,crude drugs, bulbs, corms, rhizomes, stem tubers & root tubers,aromatic plants..
from 1200 to 2800 meters. sticks, tent pegs, axe handles etc. Inca berries (Golden berries) 70 days. Huge yields of tart-sweet berries. 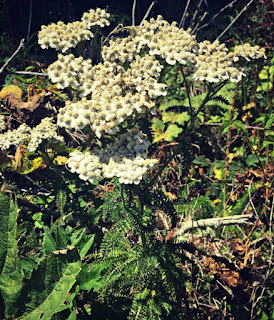 This is the common type used by the Pilgrims; excellent for pies, jams, and preserves of all kinds; also delicious fresh. The fruit grows inside a paper-like husk (the same as Tomatillos). 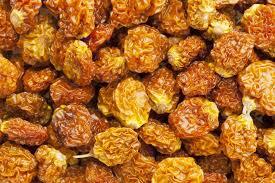 Inca berries (Golden berries). All the Physalis types yield fruit loosely enclosed in papery husks (including the Tomatillo, which we list separately), and nearly all come from the New World. All are started just like tomatoes and are super easy to grow; they do not need to be staked! Few people realize that the Physalis varieties store extremely well when kept in their protective husks, lasting for quite some time under refrigeration. 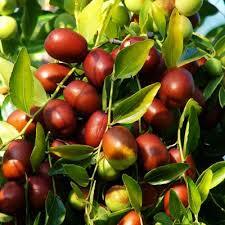 They are used fresh or cooked and are very juicy and sweet. Salvia officinalis-Sage is one of the oldest medicinal plants being used since ancient Egypt. By then it was used to stop bleeding wounds and for disinfection, also having curative properties in gastric diseases. An old proverb says “who has sage in the garden does not need a doctor”, and reality perfectly reflects this sayings. In the garden it chase away insects that attack carrots, cabbage, strawberries, tomatoes and marjoram. Dried sage leaves placed in the closet banish insects from the house. Sage essential oil is used in cosmetics, and the leaves are used successfully both in phytotherapy and gastronomy. Sage can do wonders for the beauty chapter, especially for our hair. For example, in order to maintain the natural color and shine of your hair, after washing it with regular shampoo, do the final rinse with this decoction prepared as follows: put 3-4 tablespoons of crushed soaked sage in half a liter of water, let it sit for 8-10 hours then filter the liquid. The resulting preparation is put aside and the plant left after filtration is boiled in half liter of water for five minutes, then leave to cool and filtered. Finally mix the two extracts, yielding approximately one liter of preparation that is used internally (1-2 cups per day) or externally as compresses and baths. For black hair, a decoction prepared in the same way is recommended, but in a mixture of equal parts of black tea and sage. Sage is also good for gray hair care because it strengthens and restores its color. It helps to coagulate the blood of fresh cuts and wounds. 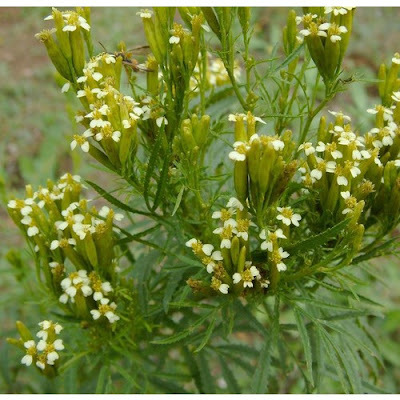 Medicinal use of Tagetes minuta : The whole plant is anthelmintic, antispasmodic, aromatic, diaphoretic, diuretic, purgative and stomachic. It is used internally in the treatment of gastritis, indigestion and internal worms. 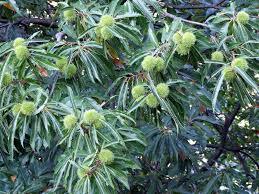 Externally, it is used to treat haemorrhoids and skin infections. 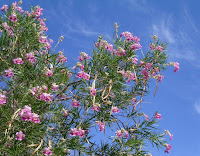 The plant is harvested when in flower and dried for later use. Edible parts of Tagetes minuta : The dried leaves are used as an aromatic seasoning for soups and vegetables. They give an apple-like flavour. 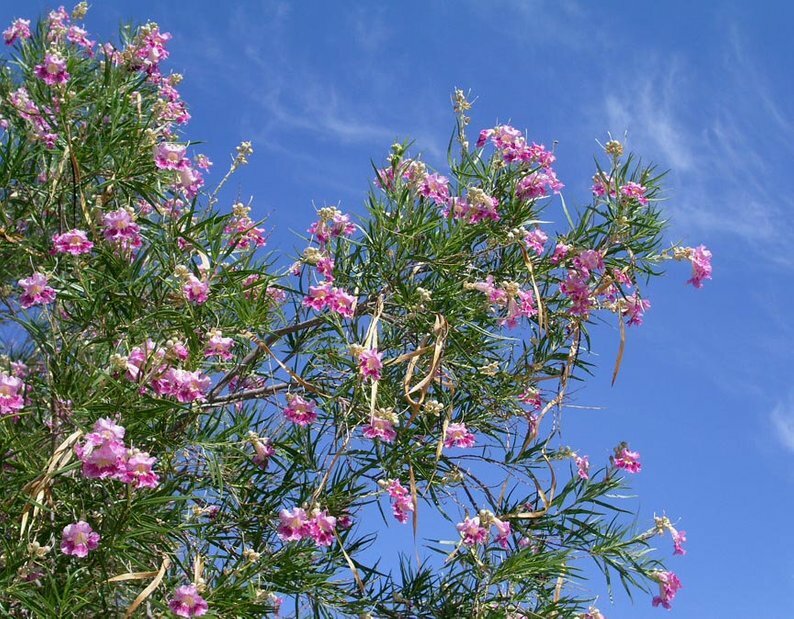 An essential oil obtained from the distilled plant, harvested when in flower, is used as a flavouring in ice cream, baked goods, soft drinks etc. 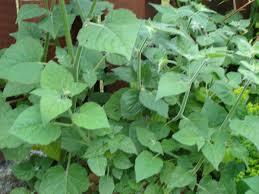 Other uses of the herb: This plant is widely used in companion planting schemes. Secretions from the roots of growing plants have an insecticidal effect on the soil, effective against nematodes and to some extent against keeled slugs. These secretions are produced about 3 - 4 months after sowing. These root secretions also have a herbicidal effect, inhibiting the growth of certain plants growing nearby. 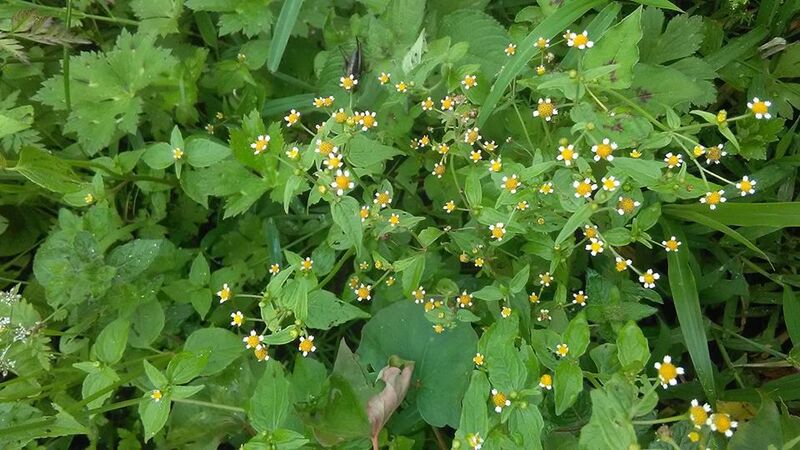 It has been found effective against perennial weeds such as Ranunculus ficaria (Celandine), Aegopodium podagraria Ground elder), Glechoma hederacea (Ground ivy), Agropyron repens (Couch grass) and Convolvulus arvensis (Field bindweed). 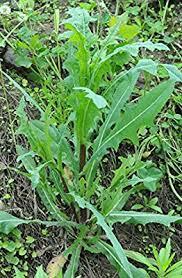 An essential oil distilled from the leaves and flowering stems, harvested when the plant is forming seeds, is used as an insect repellent. It is also used in perfumery. Dried plants can be hung indoors as an insect repellent. to reach for a pill. The Jammu and Kashmir Medicinal Plants Introduction Centre, was established under the Fruit & Medicinal plants Development Project during the year 2020-2011. The infrastructure, existing as on date, was created over a period of 5-10 years. The Ginkgo plantation was started during the year 2001-2004. The main thrust of the programme was to develop Ginkgo plantation of improved cultivars. 'Autumn Gold' (perhaps Autumn Gold™) - This male (non-fruiting) selection is common in the trade and notable for its symmetrical crown that is broad and rounded. 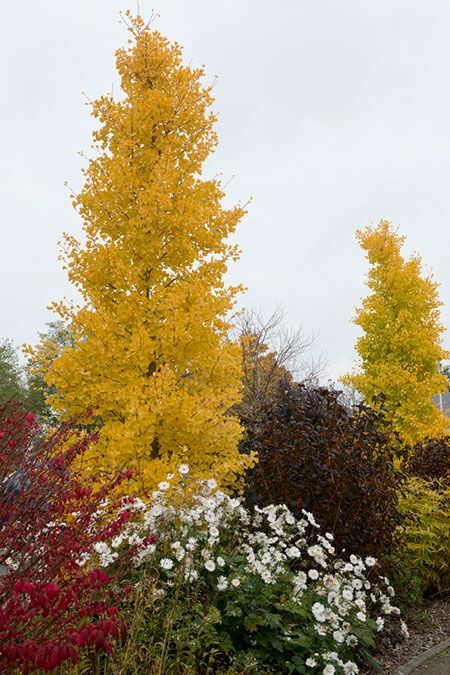 The mature size is 50' tall with a 30' spread and fall color is an excellent deep yellow. 'Jade Butterfly' - An unusual dwarf, slow-growing form, this plant has bright green leaves and a mature height that is less than half that of standard forms. It's an introduction out of New Zealand that is gaining popularity. 'Magyar' - An introduction that is gaining momentum in the trade, this plant is a non-fruiting male with upright, ascending branching to 60' tall and half as wide. It is well-suited to urban planting as a street tree. 'PNI 2720' (Princeton Sentry®) - A very popular non-fruiting male form, this form assumes an upright habit that tapers to the point. It reaches 60' tall, but only 25' wide. 'Saratoga' - Commonly offered, this plant has a strong central leader and an upright, narrow habit (40' tall and 30' tall). 'Variegata' - Many different clones are offered under this name, but most feature leaves that are irregularly streaked with yellow.